Powerhouse Arena, a Brooklyn bookstore-slash-events space, is hosting a party tonight for Thug Kitchen, the duo behind the website and cookbook of the same name that has been accused of trafficking in a version of blackface. 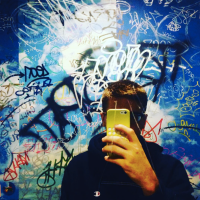 Though Thug Kitchen has been around for years, it was put on trial in the court of public opinion last week after it was revealed that the two people behind the site are white—a fact that was as obvious as the color of the sky, but which nonetheless brought the issues inherent to Thug Kitchen to the forefront. As a result, it appears as if some residents of New York have been planning a small protest of tonight's party at Powerhouse Arena. One of the organizers of the protest emailed Powerhouse CEO Daniel Power informing him of why she was planning on boycotting the bookstore, and Power responded with a garbled defense of Thug Kitchen. His email was forwarded to us by Powerhouse PR person Declan Tainter, who apparently wanted us to post it as a way of celebrating Power smacking down the protester—he sent it along with the note "CEO write [sic] cheeky reply." Instead, we're posting it as a way of demonstrating how the book industry is twisting itself in knots in order to defend supporting a book that is garbage on both artistic and cultural levels. Dear [emailer], thanks for your note. I don't share your opinion that the word "thug" (itself a variation of thuggee, groups of assassins that roamed India for some 600 years), is a code word for the N word. Thuggish behavior is fairly accepted as boorish, bullying, and domineering in character, regardless of ethnicity, and the tone of the book, including the extensive use of swear words, is symptomatic of that behavior; adopting that demeanor in the form and content of a cookbook—a cultural product most often associated with affluent society, perhaps in some gross generalizations some components of white culture, is itself a form of parody—not of the cultural origins of the contemporary use of the language and of the demeanor, but rather the extrapolation from their origins and application to a totally different worldview. This is done by using excessive amounts of vulgarity and bullying verbal stances in the traditionally staid setting of cooking and cuisine publishing. I might add the same methodology was used, to great effect, with Elements of F*cking Style, a "thuggish" parody of Strunk & White's grammar bible. So, even though I disagree with you, I do think you have a point, perhaps, and that it should be considered. Even debated. But never ever under simplistic, jihadist even, calls for banning, censorship, and boycotting. That is just plain stupid. If you want to call attention to a defect or an imagined slight, be more clever than the reason for your rising up. And by doing that you must be very specific, and cite your strongest case for not supporting the book, rather than trying convince stores to not stock it boycott establishments that support free speech and intellectual curiosity. And you won't do it by trying to tie in most of society's ills; asserting a clever book of parody of being a ringing endorsement of racism and police brutality is not going to convince the people you need to your side. Come to the event tonight and voice your opinion, and try to convince others. You'll be able to do that because it won't be banned. Power is right about one thing, which is that the voice of Thug Kitchen codes less as that of an angry black person and more of an angry man of any race (say, a drill sergeant, or a wrestler.) But that's only because the man—Matt Holloway—and woman—Michelle Davis—behind Thug Kitchen are pathetically tone deaf even in their attempts at coded racism. Thug Kitchen more or less wants you to read its books in the voice of a rapper, but instead it comes off as if it was written by two dummies who only know black people via Mr. T.
But where Power is wrong is in ascribing that dissonance as purposeful. As has been pointed out in basically every piece criticizing Thug Kitchen, the word "thug" is in the title so that you think of a mean, scary black person. Thug Kitchen uses "thug" the same way as Michael Dunn, who shot an unarmed black teenager for playing rap music too loudly. That the voice of Thug Kitchen doesn't match the character they aim to evoke does not exactly absolve them of their intentions. 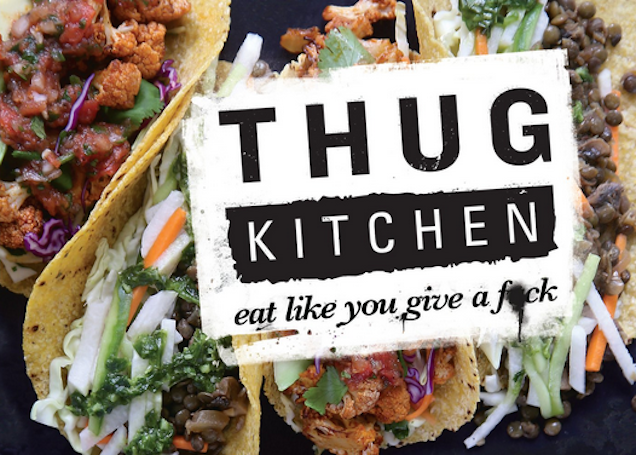 Anyway, if you want to support a brick and mortar bookstore by paying money for a book that would be better off serving as a piss receptacle for a senile dog, you can buy Thug Kitchen: The Official Cookbook: Eat Like You Give a F*ck at Powerhouse Arena in Brooklyn.